As the famous saying goes, ‘you never get a second chance to make a first impression’ so, in these image-conscious times, it’s perhaps unsurprising that men are paying more attention to their appearance than ever. But what does your appearance say about you? Specifically, what connotations does having hair, as opposed to being bald or having visible signs of hair loss, have in the eyes of others? Researchers at the John Hopkins School of Medicine in Baltimore, USA explored precisely that in a new study which investigated people’s perceptions of men before and after a hair transplant. As the popularity of hair transplants has been steadily increasing, the study looked into whether – and by how much – the surgery ‘improves observer ratings of age, attractiveness, successfulness, and approachability in men treated for androgenetic alopecia’. Despite similar, if not more impressive, results being able to be obtained from non-invasive, clinically-proven male hair loss treatment courses, the study specifically limited its research to those who had had surgical hair transplant procedures. Between 10th November and 6th December 2015, a randomized, controlled and internet-based survey was undertaken. Using side-by-side before and after images of men, 13 pairs of images were used, 7 of which showed men who had undergone hair transplant surgery whilst the remaining 6 acted as a control group. Each of the 122 volunteers – recruited via social media – was asked to make comparisons between the two images in each pairing. They were instructed to assess the men on how old, attractive, successful and approachable they thought the man in each photo looked. The participants then allocated a corresponding rating of 0 to 100 to each man for each category apart from age, which was obviously recorded in years. The majority of the 122 volunteers were women, with 64 taking part versus 58 men, all aged 18-52. Results, whereby scores over 50 were considered a ‘positive change’, indicated an overall improved rating for men with fuller post-transplant hair, compared to men with thinning hair prior to surgery. In summary, the participants considered the men in the photographs younger, more attractive, successful and approachable after a hair transplant. These qualities, the findings state, ‘have been shown to play a substantial role in both workplace and social success’, further backing the case for addressing male pattern hair loss. A surprising number of men who visit The Belgravia Centre tell us that, although they had heard of hair transplants, they did not know that there was a medically-proven non-surgical alternative. 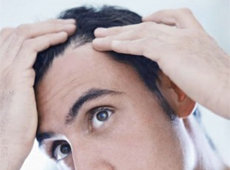 Given men looking to undergo hair restoration procedures are generally advised to follow a hair loss treatment course for at least six months prior to, and on an on-going basis afterwards in order to help preserve their results, it is often the case that men decide not to go ahead with the surgery when they see the regrowth results they get from this type of treatment. Whichever route men dealing with hair loss decide to go, it is important to ensure you are in good hands and know what is involved. If you are worried about male pattern baldness and would like to discuss the options open to you, a hair loss specialist can assess your level and pattern of shedding. 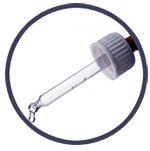 They can also talk you through recommended treatment options personalised to your specific needs.